Learning Chinese language is not only a language itself but also that it broadens students' visions by exploring the world. 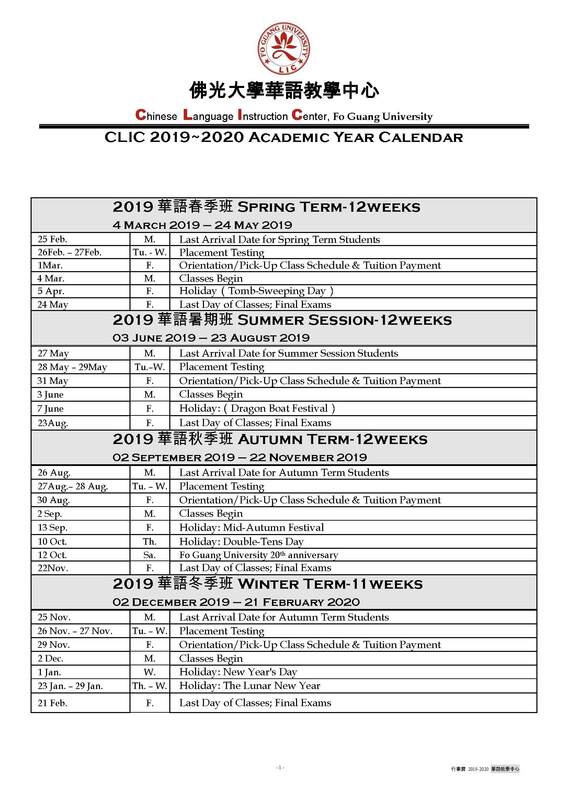 The theme of the Chinese Language Instruction Center (CLIC) of Fo Guang University is “fun of learning Chinese language with experiences from exploring Nature and activities.” We inspire a passion for learning Chinese as a language as well as that of Chinese as a culture. Our mission is to enable students to be able to well communicate with others in Chinese as well as improving writing skills. 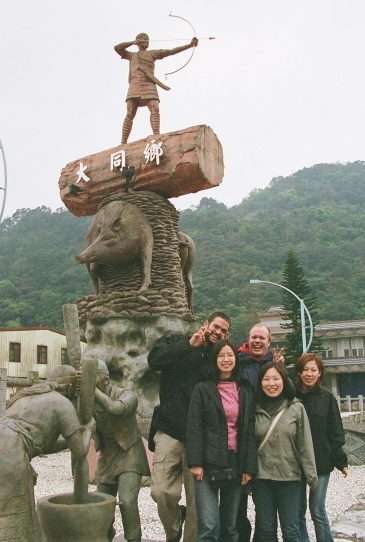 Our vision is to assist students to achieve an understanding of the culture of Taiwan through Chinese language. Learn Chinese in real life in Yilan County, Taiwan, where you don’t need to worry about the air pollution, urban noises and expensive housing rents. 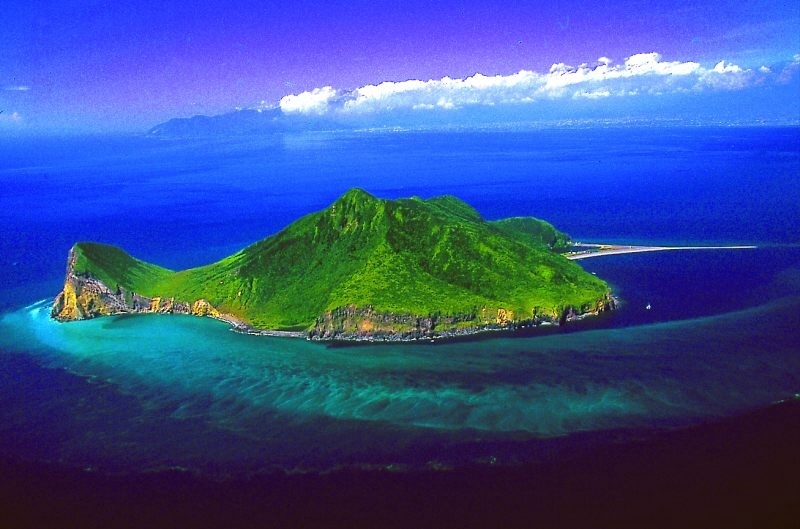 Yilan County is famous for its well-preserved nature, imposing mountain landscape and amazing Pacific Ocean view. Only 40-minute driving from Taipei or an hour by train to Taroko Gorge, the world-class scenic spot in Hualien. The County holds cultural and sports events every year, such as Taiwanese traditional opera performances, boating, surfing, and scuba-diving. The County is also very famous for its hot springs and golf clubs. What’s more, the living expense in Yilan County is much lower than that in Taipei, so you can live a more quality life and experience the fun of study in this beautiful city. Fo Guang University is a unique institution of higher learning dedicated to providing a traditional liberal arts education of global outlook in the grand Buddhist spirit (Students are neither required nor expected to study Buddhism or practice its tenets.). All aspects of the learning environment have been considered in building a new kind of seat of learning in Taiwan where the spirit of humanities-based study and education can flourish and flower. In line with its founding spirit, Fo Guang features the Chinese Language Instruction Center, which is dedicated to serving the needs of non-native speakers of Chinese from all over the world seeking an education in Chinese language and culture. An experienced faculty and comprehensively planned curriculum provide students with a keen interest in Chinese language, thinking, customs and culture with the requisite training and guidance to speak effectively. 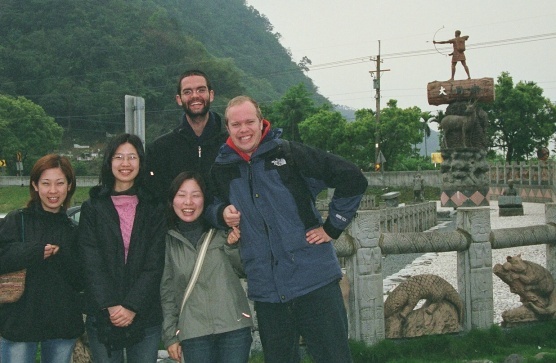 Make the most of your summer break with a carefully crafted term to boost Chinese language skills while providing a broad and intense cultural experience. Each week consists of four days of classes, four hours of language instruction per class day (one hour of one-on-one instruction, three hours of instruction in four - to six-student classes), along with one school-wide hour of hands on, direct involvement in two of the traditional Chinese arts - calligraphy and tai-chi-chuan (taught on alternating days). Long three-day weekends provide ample opportunity to travel around Taiwan or enjoy Yilan’s many water sports or cultural activities. Two weekends will feature school-arranged off-campus group outings, promising a summer filled with a rich mix of training and growth for mind and body. Tuition for summer intensive program is US$2,500 (including insurance fee, proficiency test and two school-arranged off-campus trips). A check for the application fee of US$50 must be submitted by the application deadline with all application materials. The CLIC offers customized programs for international students with a flexible class schedule. There are four regular terms (Spring, Summer, Fall, and Winter), and 12 weeks for each term. Students can take 2 to 20 hours of Mandarin class a week. All classes are sized 4 to 6 students. We provide students with cultural immersion opportunities including calligraphy, Go, Taijiquan, folk arts, and more outdoor activities in Taiwan. We also offer Teaching Assistant opportunities and scholarships to students interested and expertized in sailing, surfing, and canoeing during their study at Fo Guang University. In the end of the term, student will be asked to have the Chinese Presentation, each one student can share what they had learned in their lecture. CLIC will have school-wide lecture/discussion on topics related to Chinese society and culture. Out of the lecture, CLIC will have hands-on participatory involvement in developing the skills of many of the Chinese fine arts, such as calligraphy, tea ceremonies, cooking, carving chops, moving, graduated trip and tai-chi-chuan. Extracurricular activities arranged by the Center will include cultural and social activities, scenic views and sports (to mark specific holidays or just for fun). Tuition for this program is US$1,420(NT$42,500) per term (including insurance fee, proficiency test and social activities). Wiring for the application fee of US$50 must be submitted by the application deadline with all application materials. This program is designed for students who require flexible learning arrangements (available during the 12-week. Students may take a minimum of 2 hours to a maximum of 20 hours per week of language instruction in one-on one classes, or classes of six to eight students in size. Oral interviews and written examinations administered during orientation will determine placement in Center courses. The student’s indicated language proficiency level is used for initial planning purposes only; final placement is at the sole discretion of Center staff on the basis of the placement examination and subsequent course performance. Enrollment in the program implies consent to abide by the judgment of the Center’s staff regarding course placement. There are over 30 standard instructional materials consisting of textbooks, audiotapes and videotapes. Topics covered range from formal to colloquial spoken Chinese and modern to classical literature. With this broad range of course material, the CLIC teachers are readily prepared to focus on each student’s individual needs and goals. In addition to these standard materials, CLIC is also able to accommodate the special needs of individual students by adopting additional instructional material. Teachers at CLIC are experienced and earnest. All teachers have undergraduate or graduate degrees and professional training. Some of them have experience teaching abroad. This dedicated team of instructors promises students a rewarding and fulfilling learning experience at CLIC. The center is conveniently located at Fo Guang University’s modern city-center facility in downtown Yilan. There are museums and cultural settings near the center. 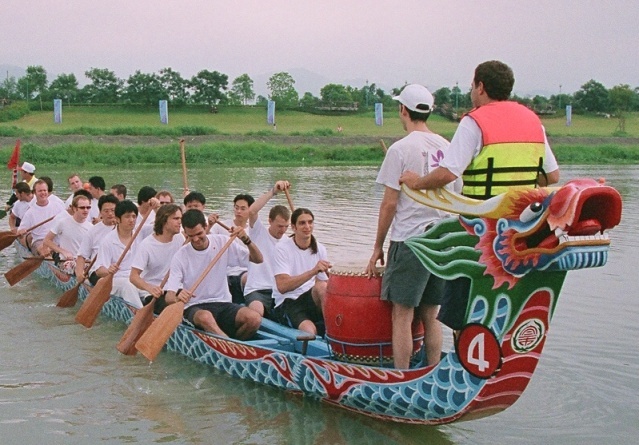 Interesting activities are held year-round, such as traditional opera festivals and an international boat race. Facilities include a comprehensive reference library, language lab, well equipped computer room with internet connections, exercise room, individual lockers, and refrigerator. CLIC provides a descriptive record in English of work done by all enrolled students but does not provide academic credits or grades. Each student’s home institution retains the right to evaluate work done at CLIC according to its own standards and award credits as applicable. All courses at CLIC are offered on a non-credit basis; CLIC does not confer diplomas. After commencing studies at CLIC, student may apply for a Certificate of Enrollment. To assure the optimal environment for each student to improve their Chinese-language proficiency, all students are required to sign a pledge stating that they will use only Mandarin Chinese for the duration of the program. Beginning students will sign an alternative pledge form allowing the use of English during the first month of the initial term of study. This pledge is a crucial part of the learning process. Violations will lead to expulsion from the program. Separate applications must be made for Summer Term study and Autumn/ Spring Term study. Full-time students, who must attend a minimum of 15 hours per week, have full use of school facilities, including computer accounts, and can apply for a student visa, assistantships and scholarships. Part-time students, who must attend a minimum 4 hours per week, may use all facilities except computers and are not eligible for student visas and scholarships. and mailed or faxed to the address or fax number shown on the bottom of the application form. 1. Fo Guang Yilan Lanyuan Dormitory Fee US $70-90 per month (2-4 persons per room). 3. Living expenses→ US$ 300 for a month.